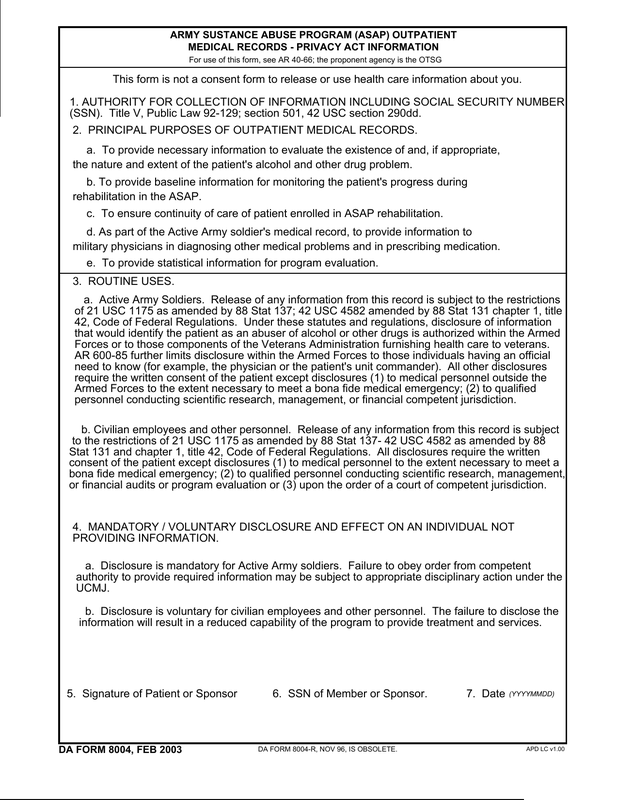 Download DA Form 8004, also known as Army Substance Abuse Program (ASAP) Outpatient Medical Records Privacy Act Information. This form is supplied to the patient to ensure that he/she understands their rights under the privacy act. 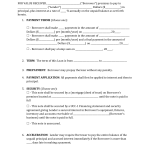 This form is not a consent form to release or use health care information about you. Some information is included below. It would be best to download the form to get all of the information included. Step 1. – Read Block one. 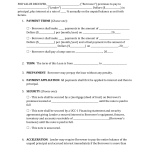 This section addresses what your privacy rights are about and the sections that refer to them. Read 1. and 2. a. through e.
Step 2. – Read sections 3.a. and b. and 4.a. and b. These areas address what can be released and how it is legal to do so.